In 1917, Marcel Duchamp submitted a signed urinal for a group exhibition in New York. The selection committee rejected the proposal, but there were others that sensed the importance of Duchamp’s provocation and published a photograph of the work in The Blind Man journal. The rest is history. Fountain would become one of the most important icons in the visual arts. Duchamp became the illustrious forerunner of Conceptual Art, which came into its own in the sixties and would have a huge influence on the art and design practices to follow. Moreover, Conceptual Art would have a profound impact on education within art and design. At first glance, it may be difficult to imagine why, in 1917, the urinal was recognized as an artistically innovative artwork. Its visual language is reminiscent of the organic forms of sculptor Henri Moore, who gained increasing recognition from the twenties onwards. But in contrast to Henri Moore’s sculptures, the arching forms of Fountain were purely functional for the urinal and were not chosen by the anonymous designer for their expressive qualities. By introducing a readymade into an art context, Duchamp changed both the identity and status of the functional object. Seemingly the value of “his” artwork was hidden not in the object itself but in its gesture. The idea became more important than the object. A similar gesture was made by Andy Warhol when he famously presented the Brillo Box in 1964, after which the art critic Arthur Danto concluded that with the arrival of art’s self-consciousness, art history had reached its end. In 2013, he withdrew this statement and replaced it with a new, universally regarded answer to the question of the difference between the artwork Brillo Box and the packaging with the same name found on supermarket shelves. Warhol had transformed his box into “embodied meaning.” Regardless of an artwork’s appearance and style, its layers of meaning are open to the viewer’s interpretation. There is much to be said against that perspective, which seamlessly aligns itself with Western art history, but as an explanation to the success of Brillo Box, it is certainly usable. Duchamp and Warhol could probably not have imagined their gestures would bring about a new definition for design, and can also not be directly attributed to them. But over the course of the twentieth century there was an increasing awareness that products were not only functional but also carried meaning and references that transcended their functionality. And with that, the distance between art and design was diminished or even eradicated according to some. In 2013, we established a program that would reckon with this part of Conceptual Art’s legacy, as our aim was to give the artistic process of making more emphasis within education. With this ambition, we looked at the consequences of recent developments in art. For several decades there has been a careful resurgent interest in “the thing,” and the complex relations people maintain with the objects they surround themselves with, regardless of whether these are everyday objects or artworks. There has also been renewed interest in local craftsmanship over the last few decades, the skills which are under threat due to globalization and outsourcing. This revived interest in objects and the processes by which they are produced has not yet led to existing programs investing more time on these subjects within their curricula. And thus: time for something new! Art and design must continually renew themselves. This requires educational programs to prepare its students for an inevitable flight forward. Artworks and designs must find the right balance between the familiar and the divergent. They must surprise: only then can they represent a valuable change to existing norms. Because the creative artistic process cannot be controlled and brings out unparalleled surprise, and because at the beginning of the twenty-first century there were barely any Master programs with an emphatic focus on experimentation with materials and technique, a program to fill this gap was established within the Sandberg Instituut, titled Material Utopias. To attract the students able to work creatively with tradition yet link it to this time, we included the term utopia in the program’s title. The utopia as an impossible reality, an ideal future world which will possibly and probably remain unachievable, and pointing foremost to a research mentality and an urge to innovate. The title was to entice students who were prepared to leap into the unknowable future, to do just that. Inspiration was drawn from the ideals of Bauhaus at the beginning of the twentieth century. As such, Material Utopias aimed to emphasize the development of the artistic and research-driven mentality of the students, with much attention given to experimentation in the workshops. In addition, we aimed to focus on reflection and generate a lively discourse about the materiality of art and design and the power of a hands-on process. For these reasons, we opted, again in line with Bauhaus, for teachers with strong, often controversial, ideas about their respective disciplines. Last but not least we chose to teach artists and designers simultaneously, side by side—apparently not an obvious choice. A range of topics required our attention. An arts education is not a crafts training course in which students aim to master a set of skills for a specific career. We expected prospective students to be able to ignore the traditionally established frameworks, to have an affinity with the experimental creative processes as well as with the necessary reflection accompanying the production process and its results. The students should already possess sufficient knowledge of their discipline, from within which they could develop more detailed explications: sufficient craftsmanship in order to question the craftsmanship; sufficient knowledge of the past in order to fully embrace it from a contemporary perceptive. All these conditions meant a seemingly impossible, self-conflicting task for the program, but a task we considered essential. How to get out of the cage? How to get out of the head? Paradoxically, thinking is a deficient instrument for accessing ideas “out of the head.” Thinking tends to revolve around the already known, the common, the all too familiar. Thinking tends to be circular, taking place inside the head. To discover new insights, in order to go beyond the familiar and predictable images and experiences, requires a method and approach that puts thinking temporarily on hold, that surprises, catches off guard, and frustrates thought. How, then, could a context create the best options for evoking surprise and wonder; how would a context allow novel insights to shake up conventional ideas and prejudices of what art or design should be? Should coincidence and intuition not play a major role in this process? Here the artistic process, the experimentation with materials and techniques poses a magnificent creative force. While working with materials, discovering their qualities and the potentials of a technique, an artist or designer will soon discover they cannot be fully controlled, as they seem to have a will of their own. One cannot hold on to preconceived plans and ideas, nor dictate the exact outcomes. One needs to rely on one’s instincts and intuition, be open to whatever appears by chance, and welcome failures and mistakes as new possibilities. The beautiful word serendipity refers to these qualities. We wanted to offer the students optimum access to all the workshops and give them free range to experiment outside the well-known boundaries, without preconceived objectives, or even extensive technical baggage. To realize this, we formed a close collaboration between the heads of the Glass and Ceramics bachelor’s programs and Material Utopias.5 Together we established a large part of the MU curriculum, with a clear framework about when and to what extent the students would be plunged into the well-equipped workspaces and the details of specific techniques. At our disposal were the workshops of the aforementioned departments of the Gerrit Rietveld Academy (glass and ceramics), alongside the workshops for textiles, metal, wood, graphic design, digital media and photography, and a number of external workshops. Teachers were paired accordingly with the workshop technicians, whose range of expertise and approaches offered the necessary know-how as and when a process required, as well as initiate the necessary reflection and discussions to understand better the significant discoveries found during the making process. An important part of the curriculum was the gradual development of a personal Material Library, led by Jens Pfeifer. And another important aspect was the external work­weeks during which, under the guidance of Bastienne Kramer, experimentation with all available materials was carried out in particularly unorthodox ways. Material Utopias abandoned outmoded differences between the workshops of art and design programs. This wasn’t always easy. Owing to the particularly varied technical abilities of students within a given craft, we wanted to provide classes offering the basic skills for glassblowing, textile printing, and working with molds. This left a limited amount of time to look at more advanced techniques. While training in craftsmanship requires further precision and detailed knowledge, there wasn’t enough time to examine these techniques as in depth as some teachers had hoped. As much as this was frustrating, we also recognized that this approach could lead to unexpected results. Alongside our great enthusiasm for the range of possibilities the workshops provided, there were also much-discussed reservations among teachers and heads, both before and during the course. We were all well aware of the possible pitfalls of focusing on material processes, such as devoting too much attention to the object’s materiality and thus forgetting about the work’s content. The techniques of traditional craftsmanship inevitably seem to incite the urge to reach a certain level of virtuosity, the urge to master the technique as perfectly as possible and showcase these skills through the addition of technical feats that can quickly override a work, quashing its meaning. The prevalence of virtuosity within a discipline comes at the expense of its content. Acrobatics never results in dance, to draw an analogy from another discipline. The arts of ceramics, glass, and textiles rarely or never result in Art. The collaboration between Material Utopias and Ceramics and Glass, two separate material-based courses (“crafts training” or “artisan crafts courses”), alongside external workshops where the students experimented with contemporary materials and techniques, required us to make decisions about the amount of time dedicated to specific techniques. The program offered insight into a whole scope of craft techniques but didn’t cover them extensively. Essentially we provided the students with enough information for experimentation and a meaningful thought process. Through our constant assessment of the minimal knowledge students needed over the range of technical possibilities, and where more in-depth knowledge and additional skills were needed, we never lost sight of our primary aim to promote an investigative and reflective mentality. More precisely: the new program was not to attract and educate ceramists and glass artists for whom the material itself is the sole intention, but rather to view the material as a means through which to express deeper significance. This ambition was in line with our belief that traditional crafts are often trapped within the conventional limits of a discipline, while innovation often comes from practitioners working without the weight of years training, enabling a fresh viewpoint on age-old traditions. Looking back at the history of visual arts and design one readily discovers many interesting projects rightfully embrace a degree of clumsiness, even ignorance. What the artisans might consider an unforgivable mistake, could be construed as an important extension of the meaning that an artist or designer wishes to convey. 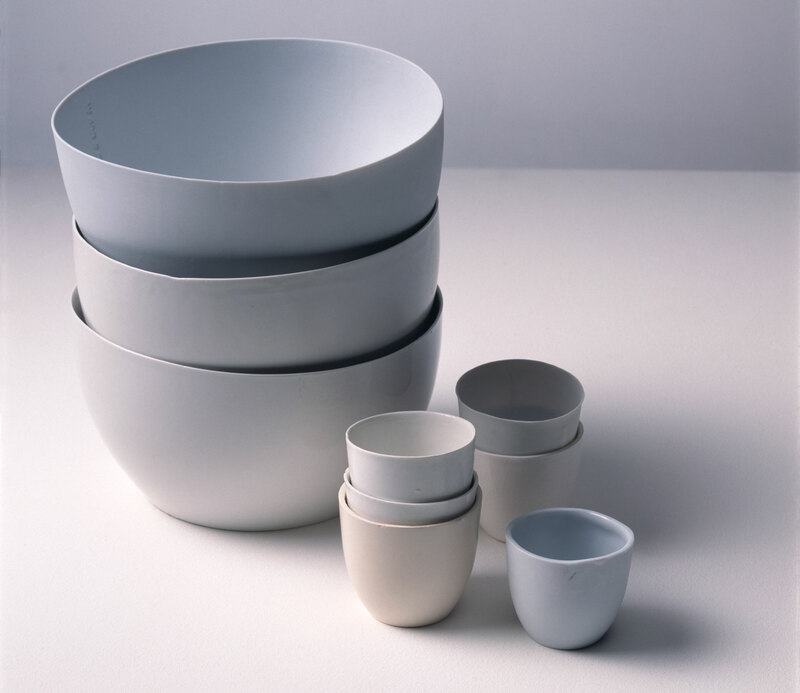 See for instance the work of Hella Jongerius, who employed the “weaknesses” of ceramics—the deformation that takes place due to temperature differences—to create B-Set. The tableware is made by way of a reproduction technique in which the same molds are used, but instead of a range of similar outcomes, each item is unique as it has slightly deformed in the kiln and bears the visible traces of this special production technique. In this regard, it’s also worth mentioning that the heads of faculty from both Ceramics and Glass, Bastienne Kramer, Eylem Aladogan, and Jens Pfeifer, do not profile themselves as ceramists or glass artists, but as visual artists deploying diverse mate­rials and techniques in their work which has gained wide recognition internationally for its conceptual and expressive qualities. In addition to the hours spent experimenting with materials in the workshops, we also took the time to reflect on the layers of historical meaning hidden in materials and techniques. As materials contain many historical, cultural and social references, the surprises that come about while working with them also evoke those points of reference; as such, the practice of experimenting with materials not only brings about a multitude of sensations but also the birth of new ideas. Grayson Perry was a good source of reference for our students, making deliberate use of the dowdy, outdated qualities of ceramics and textile techniques to reflect on current times. In his now world-famous book The Craftsman, the author Richard Sennett states, “making is thinking.” Sennett is referring to the thought processes that are so intrinsic to making. Alongside this direct link between making and thinking, another process of reflection is working at a greater distance, mapping out the connections between the various references conveyed by the materials and the overarching story in which these elements become meaningful. That’s the reflection we can witness in Perry’s work, a reflection beyond making is thinking. Alongside our focus on various artistic processes, there was one other choice that greatly affected the program: simultaneously educating artists and designers. Traditionally, both fields of interests have many differences, such as the presumed autonomy and freedom of the arts versus the presumed functional essence of design. However, art and design practices also share many similarities, such as the need to become aware of one’s personal voice, fascinations, and artistic talents; the need to trust one’s intuition, and the need to stir the imagination of the viewer, spectator, and user. In recent decades designers have retreated from the real world of everyday functional objects and gained access to white cube spaces that once belonged exclusively to the art world, while in the meantime artists have left these secluded sanctuaries. Nevertheless, both fields are bound by certain essences and abandoning these can easily lead to a mere stylistic play of visual similarities or ignorant projects and hollow rhetoric. In spite of whether artists and designers choose to work in the grey area where various fields seem to overlap, where experiments examine the conventional limits of a discipline, they should have an understanding of what traditional borders have been crossed and a keen awareness of the areas and frameworks from where they start. qualities inherently linked with the various disciplines: the designers were challenged to explore their artistic freedom; the artists were challenged to become aware of the demands of a given context. In the second year, the students worked towards their graduation projects: time for an increased awareness of the various contexts in which the results would find their home, and time to discuss the differences again. Time and again students, who originally had enrolled as designers, had to explain why and how their artistic installations would become valuable within the real world (sometimes to their utmost frustration). Time and again, during classes and evaluations, the questions were raised: “What is functionality?” “What are my insights on this topic as a designer?” “What is Art?” “What is my position as an artist within this field?” As some of the artists played with everyday objects in their works and juggled with references to functional objects, this question sometimes changed into the more provocative: “Can this artwork become functional?” Throughout their studies, both the artists and the designers continued to let themselves be surprised by their material experiments and the consequences of those surprises. Through lectures and many debates with (guest) tutors, and through writing a thesis on their individual research, they also learned how to theorize about the artistic process and how to consciously work with the meaningful references that are linked to various materials and techniques. And last but certainly not least, they continued to investigate and cross the conventional boundaries of their different disciplines. Slowly but surely, the students developed sufficient knowledge of their respective disciplines, from within which they could develop more detailed explications: sufficient craftsmanship in order to question the craftsmanship; sufficient knowledge of the past in order to fully embrace it from a contemporary perceptive. The temporariness of the program had induced in all involved an unusual sense of urgency and enthusiasm. From day one, their dedication and commitment have been overwhelmingly inspiring. They have experimented with a large range of materials, from plastics and fabrics to glass, clay, and paint. These experiments led to fantastic findings as well as failures, which were sometimes heartily embraced and rather more often ended up on the ever-growing mountain of remains. The growing material libraries the students created over the course of time were indeed personal, containing a wealth of surprising outcomes and surprising takes on the subject “material,” which will continue to provide inspiration after graduation. Alice Ronchi, for instance, decided to refrain from putting the actual material samples in her library but instead created a small booklet of short poems on the materials’ characteristics and the experiences and emotions they evoke. The enormous debris and chaos, the results of zealous experimenting, have scarcely gone unnoticed by other programs at the Sandberg Instituut. And it worked! In July 2015 the audience witnessed how the experimental process had led to a mash-up of surprising, meaningful, urgent, and serviceable projects, contributing to the validation of the discourse on the materiality of art and design. The discourse has not ended with Material Utopias but has continued in various ways within art and design education. Although somewhat altered, within the context of the Sandberg Instituut the overall ideals of Material Utopias have continued in the temporary masters department MAD: Materialization in Art and Design (2015–17), headed by architect Herman Verkerk. Jens Pfeifer and Eylem Aladogan are still the respective heads of the Glass and Ceramics departments of Gerrit Rietveld Academie. Bastienne Kramer contributes as guest tutor to various international art academies. And, as head of the Contextual Design masters course at the Design Academy Eindhoven, I continue to devote ample time to the merging of content and materiality in product design. 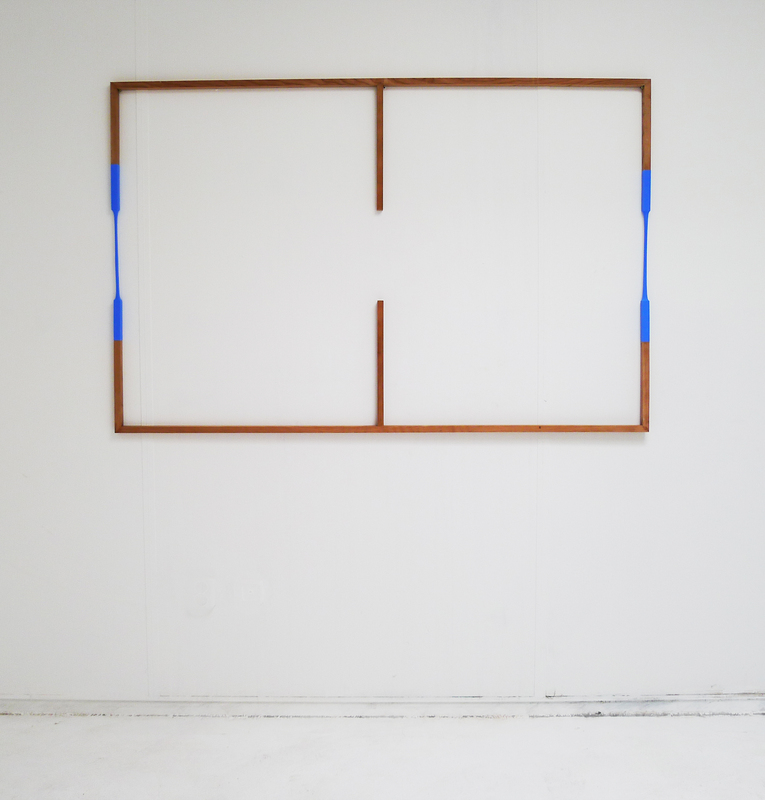 Louise Schouwenberg studied psychology (Radboud University Nijmegen), sculpture (Gerrit Rietveld Academy Amsterdam), and philosophy (University of Amsterdam). Since 2000 her focus has been on art and design theory and, incidentally, curating exhibitions on the cutting edge of art and design (Gallery Fons Welters Amsterdam, Museum Boijmans Van Beuningen Rotterdam, Utrecht Manifest, the Textile Museum Tilburg). She has been taught at Politecnico University of Milan (MA Architecture), KABK The Hague (MA Interior Architecture); the Sandberg Instituut Amsterdam (MA Material Utopias); Vrije Universiteit Amsterdam (MA Art & Culture). Since 2010 she is head of the master department Contextual Design at Design Academy Eindhoven.